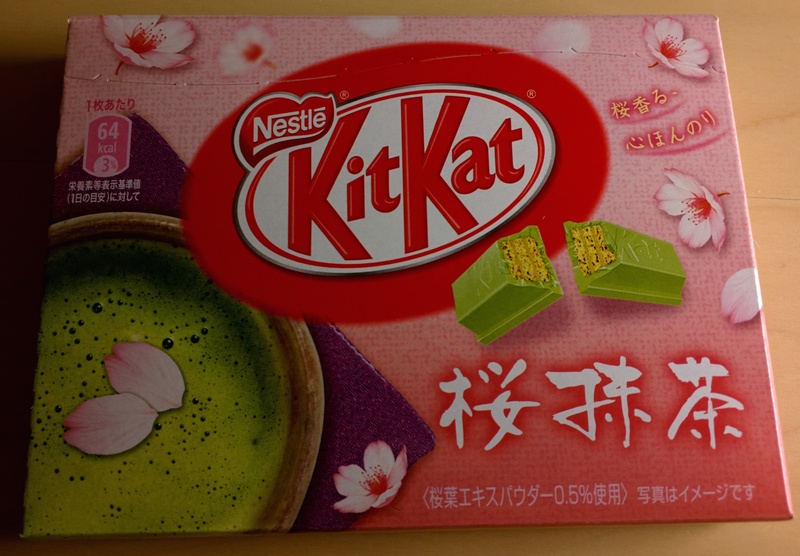 Cherry Blossom KitKat: Green in color. Strong vanilla favors with just a hint of cinnamon. 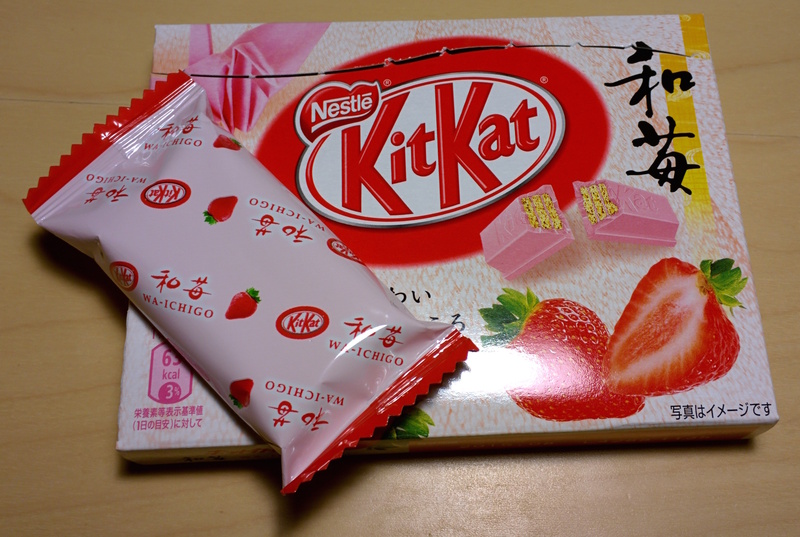 Full disclosure: I have no clue how cherry blossoms smell, let alone taste, so hard to determine how flavorful this was. But, it was delicious! Rum Raisin KitKat: Rum on the nose, fruity on the palate, reminded of blueberry more so than raisin. 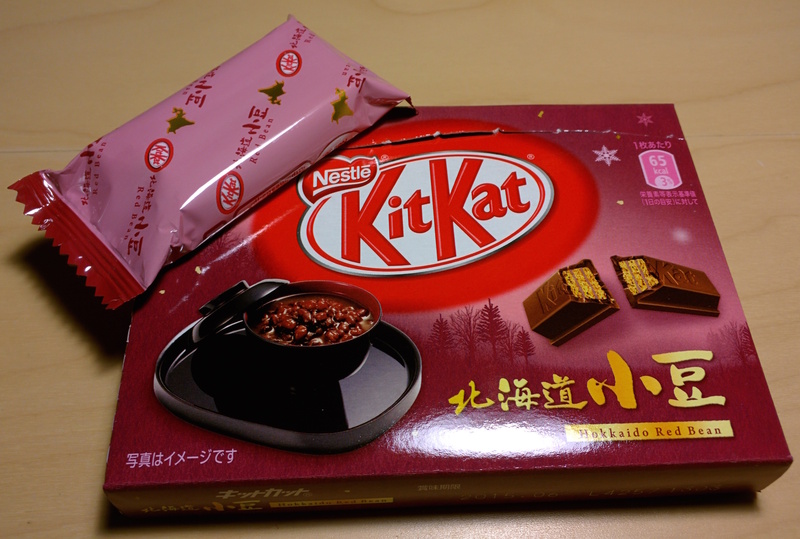 Regardless, delicious! 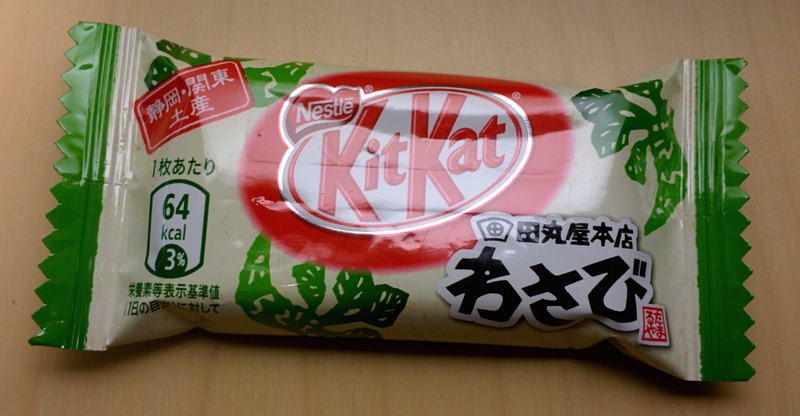 Wasabi KitKat: subtle notes of wasabi on on nose and palate, subtle sense of horseradish on the back olfactory after placing on palate. Oh and sweet! 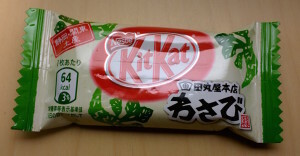 Light green in color, lighter than cherry blossom. Overall, delicious! 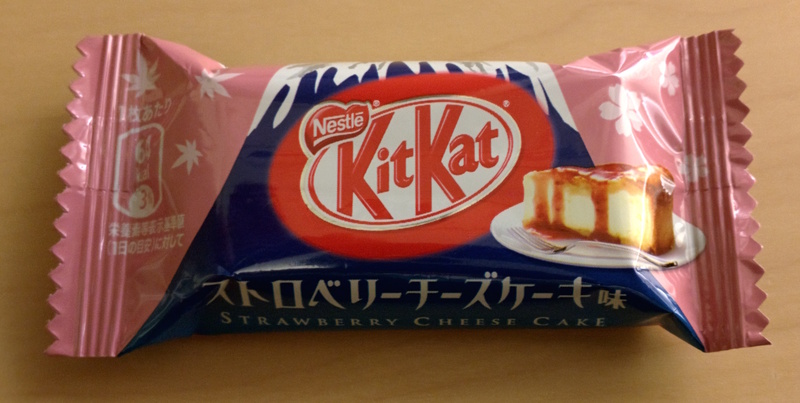 Strawberry Cheesecake: Too fruity, too cheesy, too sweet. About as expected. Red Chili Powder KitKat: Smells like dark chocolate, hints of chilli on palate, definite kick (spice) especially in the finish. Most delicious of the batch so far. Strawberry KitKat: Pink in color, strong strawberry smell and taste, reminds of Hershey’s strawberry syrup. Super sweet.